I was over the moon when they asked me to do a couple's session! We went to the Genessee Theater in Waukegan, Illinois, for a session for just the two of them. Tuyen's dress is incredibly flattering and she looked like a movie star. Krevon always has me cracking up during our sessions, and this time was no different. He is always making jokes or funny faces right before I click away. Each smile on Tuyen's face is one of mirth and happiness. No forcing smiles for this couple! 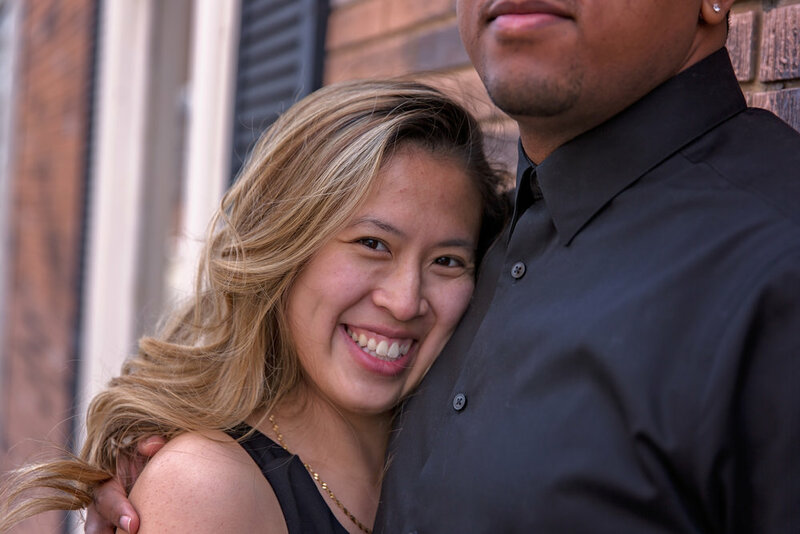 Both Tuyen and Krevon grew up in Chicago. They have been married for five years now. 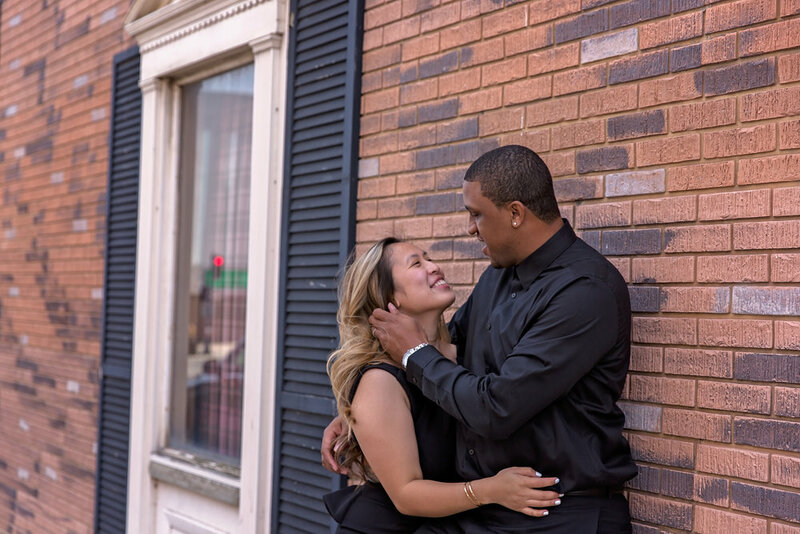 This couple's session was a perfect time to reminisce on where their love story started. Truyen told me about how they were laying around, watching TV, and he looked over at her and asked, "Will you marry me?". She said "really?" and once he confirmed he was serious, the game was on. They had never even talked about marriage before that, but three months later they had a big old wedding with 150 guests! Tuyen planned the whole thing even though she was in her senior year of college. This couple never has a shortage of funny stories, and the day of their wedding, Truyen forgot to pick up her bouquet! It was HOURS away, but a cousin on their way to the wedding turned around and got the bouquet for her. That's good family for sure. This couple's session was so much fun to do with a family I've watched grow. I hope every time I'm up in Chicago I can do a session with these two and their adorable baby!